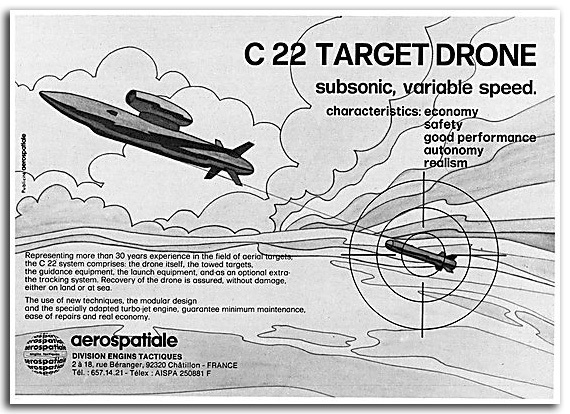 This is an uncommon and likely unique model of the ‘C 22’. 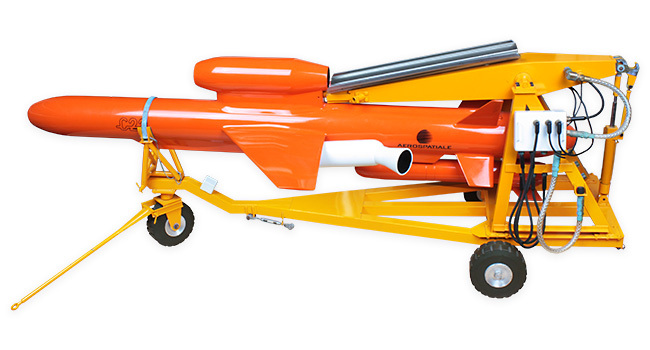 The real thing was developed during the last half of the ’70s and manufactured in the ’80s by Aerospatiale. It was last used in France in 2014. Although it looks like one, it is not a missile. 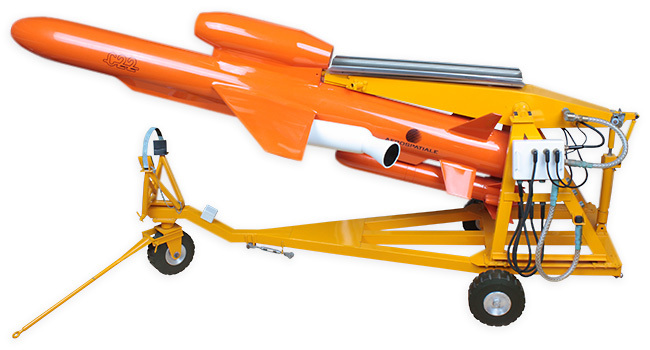 It is a subsonic target drone used for target shooting as well as missiles testing, hence its orange colour. 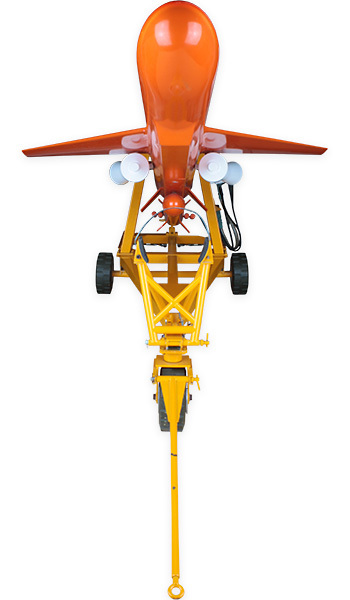 The drone is displayed here on its metal transport and launching carriage. 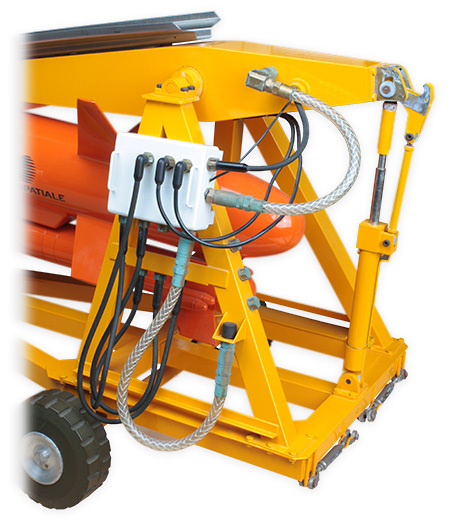 Oddly, the wheels are fixed whereas the carriage arm pivots and a piston located at the rear of the carriage and a strap located at the front allow the drone to be horizontally displayed, in transport position or in a (raised) shooting position. This is likely due to the fact that it was shown in trade fairs. 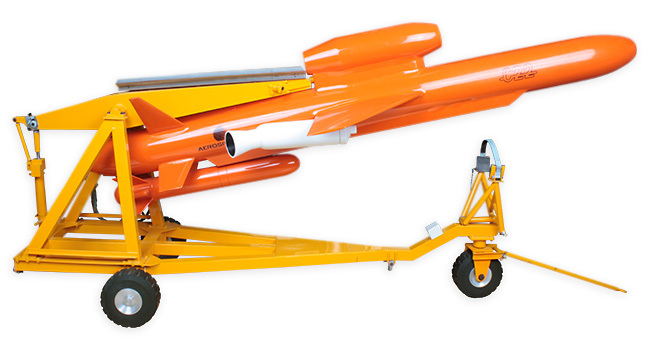 The model is complete with the drone itself, its on-board target and is equipped with JATO rockets required for launching. This English ad helps figuring quite well what the entire set up looked like once in the air. The drone was made of metal and plastic. However, the model is made entirely of metal. 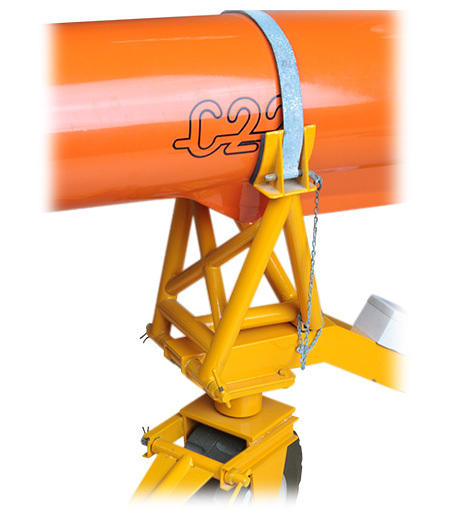 It is to be noted that the body of the drone and of the accessories are of solid metal. This makes for a heavy piece of substantial size. 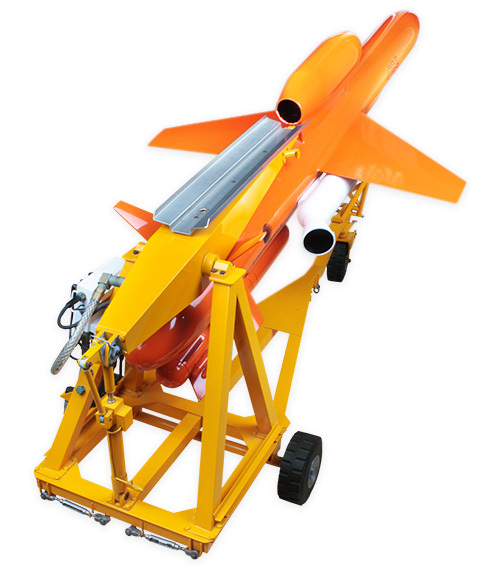 The drone itself is 105 cm / 3.44 ft long (1:5 scale). The whole piece including the carriage is 117 cm / 3.84 ft long. This piece is in very good condition. Its colours and size make it quite a decorative and original object. Shipping can only be done by movers who will handle transport as well as its packing. This will induce extra costs, greater than regular postal shipping. Measurement : length 117 cm / 46.06", width 34 cm / 13.39", height (shooting position) 53 cm / 20.87"